A group of us were standing in a lobby area of our old high school. The guide told us that we are standing where the old tunnel used to be. I remember the tunnel. 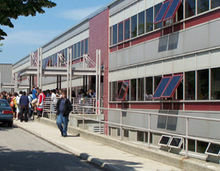 It was a crossing place between the gym and the high school. 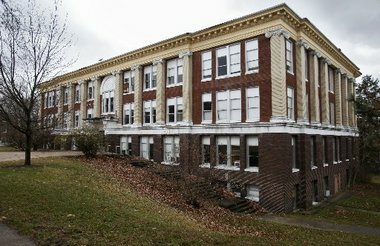 It was something that was unique in our school as it made our journey to the gym direct and convenient. Of course I’m thinking back forty years ago and it wasn’t just the tunnel that changed. The school was so renovated that it was hard to believe that it was the same school we attended. The tour of the high school was actually the third leg of our reunion time. It was tied to a 5K run/walk which focused on the old neighborhoods around the school. Later there would be the main event that evening and a goodbye breakfast the next morning. Noted in that run/walk were the actual houses where some of our classmates lived at the time we were in school together. I had planned to do the run/walk that morning but my body was telling me no. After participating in an 18 hole reunion golf scramble the day before and attending the casual get together that night I was feeling pretty sore. However, I did meet up with everyone for the tour and was glad I did. Of all of the events, the tour was the most reflective and mind boggling. 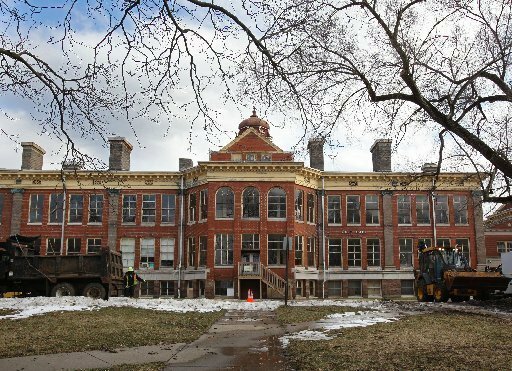 While the new rooms for learning were amazing a part of me wondered “where have they taken my old school?” They say that some things remain the same but we were having a hard time finding any. Today’s students have personal computers and i-phones that they use to text friends. They have ways of communicating that we never did. 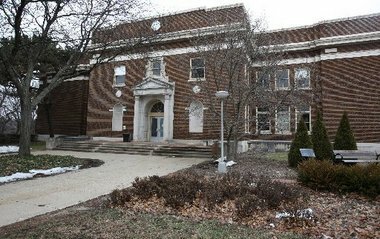 The only two places in the school that looked somewhat familiar was the auditorium and the library. While the auditorium seemed exactly the same, the library did have a special computer room that would have been next century stuff for our class. Come to think of it that is exactly what it is. The old typing room down the hall, (a room of multiple typewriters), where I miraculously learned to type from Mrs. Frakes, is long since gone and only lives in the museums of our minds. I’ve taken a full turn on these class reunion gatherings. I attended my first at the 25 year celebration. I guess the first few I figured would be a can you top this thing. I envisioned comments like “I’m the president of a bank!” “What are you doing?” Happily I found that this was not the case. Maybe in the earlier ones it was but by the 25th everyone seemed to enjoy seeing each other. I met new friends that were not my friends in high school. Most people definitely mature and realize that they are not the center of the world. The last couple of reunions I have been on the reunion planning committee. I remember back in the day we would get a letter in the mail telling us about the reunion plans. These days that is replaced by contacting people on Facebook and having them spread the word also. We have become a part of the new technology world too. The committee talked about different venues for the main event and eventually settled for a place downtown named Shakespears. We found out later that Shakespears wouldn’t let us bring a DJ in as we have had in previous reunions, but it didn’t seem to matter. It seemed that all everyone really wanted was a big room where they could catch up with their old friends. What was really gratifying was the heartfelt thanks from so many of our classmates as to the great job the committee did. It left me with a lesson learned that whatever we are doing it is great to feel appreciated. On the other hand if I participate in something I want to be one of those people who show their gratitude to the organizers. Just like the old school has changed in appearance me and my fellow classmates have changed too. We are more wrinkled and grayer haired (if we have hair at all). Most of us are heavier than we used to be. Still I recognized almost all of the people I knew. Oh they may have looked a bit different but their basic recognizable qualities and mannerisms were the same. Forty years of life puts some wear and tear on our bodies for sure. Everyone seems to have their own sense of importance as far as reunions go. There are people who wouldn’t walk across the street to attend one and others who make the trip from as far away as California. The ones who invariably come are treated to memories, old friendships, new friendships, and a chance to re-live how things used to be. Instead of the competition we felt in high school, there is now a closeness as we reflect on the same experiences that we shared. 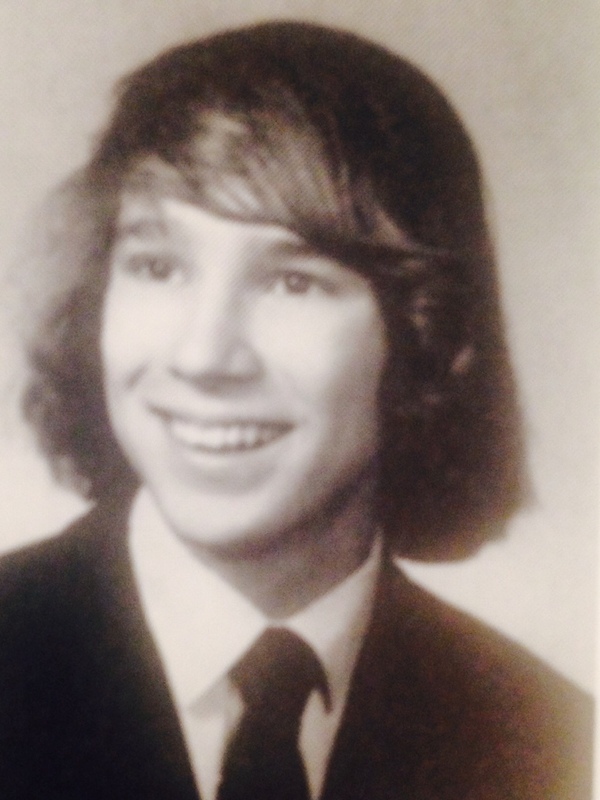 Forty years, it went by so quickly. A former classmate mentioned to me last year about how you turn around and you are 50. Seeing all of my old classmates was like going to a wedding or a funeral. Invariably I started feeling older and more vulnerable. Events that take me back in time have a way of making me reflect. Like the old high school I have been through many changes. I have experienced love, hurt, elation, depression, victory, defeat, loss, and gain. My fellow classmates have lived through their own highs and lows and most have weathered the storm. Symbolically we have passed through the tunnel from youth to older age and there is no going back. Through it all we shake our heads as we wonder how we ever survived without all of the technology gadgets modern kids can’t do without. We probably need a tunnel to connect how we grew up with how kids grow up today. Unfortunately everything has changed and a tunnel doesn’t exist anymore. One thing that I am forever thankful for was at age 16 before my junior year I gave my heart to Jesus. It was the best decision I have ever made! Like the tunnel that connected the main building to the gym, I found the path that connected me with God. I have fallen multiple times since but he is faithful and has picked me up frequently along the way. I’m looking forward to a bigger reunion one day where I will be reunited with many loved ones, but in particular my parents and my daughter. I’m sure there are loved ones you miss too and long to see again someday. Until then we are to keep the faith and do what he has called us to do. Around us I see the world changing like my old high school. Jesus is the same yesterday, today, and forever. I take great comfort in that fact! Reflecting on the best reunion ever! I was thinking of old basketball days for myself and my son a couple of weeks ago. I wondered what happened to the kids that were on his teams that I coached when he was ten, eleven, and twelve years old. I wondered what happened to kids that he played against at the Courthouse, which is a basketball facility that had camps in the summers. I looked up a kid named Skyler who ended up playing at a high level in high school. I looked up Mark who did not excel in basketball, but was an excellent tennis player. He is currently on the coaching staff of a Big Ten University. I had previously looked up a kid named Ryan and followed him as he played Division III basketball in college. I always wondered what happened to Mikey. Mikey was a kid two years younger than my son and basketball meant everything to him back then. I remember Mikey was nine and in camps he would be alone at a basket just shooting and shooting. He was a little kid and he was left handed and he could shoot! What he liked to do most was shoot long shots. He just enjoyed making long shots and he kept practicing by the hour. When my son was 11 he needed a partner for the 2 ball competition. That was a competition for two kid teams where they passed to each other and shot from different spots on the floor. They tried to accumulate as many points as they could in one minute. A couple of years before he teamed with a girl in the mixed division and they finished third in the state! This time he would be doing it in the boys competition. After considering who we could get for a partner we decided to ask Mikey and his parents. Even though Mikey was only nine at the time he could hold his own and more with any of those older kids. Mikey was excited to team up with us and his parents were very supportive. We were leading in the first round with 25 points I think when the last team came up. The winning teams got to advance to a competition for the regional winners and it looked good. This other team though started making basket after basket. There was one problem that I saw right away. The rules stated plainly that players could not shoot from the same spot two times in a row. Each player on this team kept shooting the same shots. The volunteer official was marking all of the shots as good and the team had scored over 50 points according to his count. When I brought up the fact that they broke the rules a controversy started. A family member of this team considered me a trouble maker and against their kids. I was just pointing out what the rule was. During this controversy it was Mikey who was taking a leadership role. “They said that we could shoot again or keep our score”, Mikey said with a gleam in his eye! “I told them we would keep our score!” He said it like he was making a presidential decision to end poverty! Well it didn’t come to a do over. One of the kids was big enough to realize that rules were broken and our team moved on. Still in my mind I can see the excited look on Mikey’s face as he declared his decision for the team! So all of these years have passed and like I mentioned I was wondering about Mikey. So I typed his name into my computer expecting to read his basketball heroics when the article that came up hit me like a punch to the stomach. Mikey was dead and it happened in 2011. I felt bad for the situation and I felt bad because I had just found out after three years. Mikey died of a fast growing brain tumor at the age of 19. After the shock and reading many articles praising Mikey on what a caring person he was, I did find some basketball stories from the year before his death. As we all expected Mikey did turn out to be a very good basketball player! An article that just touched my heart and filled my eyes with tears was when everyone knew he was suffering from this incurable fate. 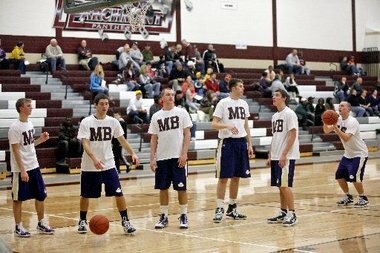 Schools that were Mikey’s teams biggest rivals were donating money and doing fund raisers for his cause! It was a wonderful story in realizing that ultimately we are all on the same team and need to be there for each other! It’s the memorial day weekend and it is a time that we think about young men who gave their lives to uphold the freedoms that we have. While many of us are enjoying our extra day off and concentrating on how we can maximize our time and pleasure I have a thought. I know first hand what it is like losing a child. It is like living your worst dream. It is like getting stabbed with a knife. As in a knife wound as time goes by the pain lessons. However sometimes the slightest movement will bring that pain back to the surface. 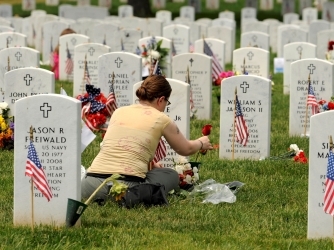 We need to realize that behind that soldier who lost their life for their country there is parents who are hurting. Through losing a child I can tell you something that in my experience is a fallacy. Usually people will say something like “well don’t bring anything up about their child because it will bring back sad memories.” In my experience just the opposite is true. When we don’t talk about the person that is so dear to them it is like they never existed. The hurt comes when the loss is not acknowledged and we try to ignore the elephant in the room. Sharing memories is good for us and good for the hurting parent. It speaks volumes to the fact that someone might have left us early but they are still in our memories and they affected our lives! Over the next couple of days we will hear about how others protect the freedoms we enjoy. One of the biggest freedoms I’m thankful for is being able to collect memories. Memories are a gift from God that shape our lives. People come and go in our lives and we learn lessons from each of them. Some of my lessons learned I have been able to pass along to you. I am thankful for the freedom to do that! Yes, I remember Mikey. In his own little way he taught me to be dedicated and enthusiastic. I have many wonderful memories of my daughter. Don’t think you would hurt me if you asked me about her. Although I might shed a tear or two it is far better than to cry because you acted like she never was here. It was the oddest statue I think I have ever seen! 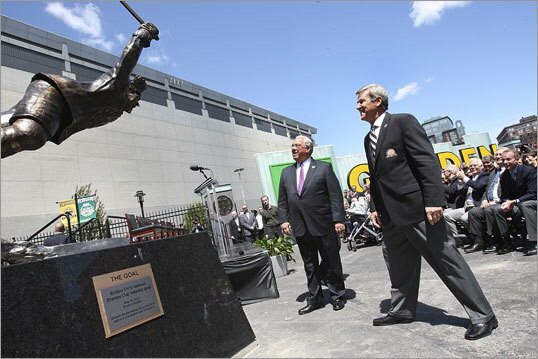 It was meant to commemorate a moment in time and Bobby Orr was the subject. Bobby Orr was a hockey player for the Boston Bruins. He reinvented the position of defenseman. A defenseman by definition was a player who kept the other team from scoring. Very rarely did a defenseman score a goal. Bobby changed all of that! He had the speed and stick handling skills to unexpectedly get by his man and score goals too! Bobby only played twelve seasons. His career was cut short by a dozen knee surgeries. Back in the sixties and early seventies when they did knee surgeries they went right in with the knife. Nowadays with advancements in surgery technology the same procedures could have been performed with a laser and a scope. He only played in 657 games in his 12 years but he had an astonishing 915 points! He won the Norris trophy eight consecutive times as the leagues best defenseman! Bobby is the only defenseman to lead the league in points and he did it twice! He also won the leagues most valuable player award three times! Bobby’s career may have been much more productive and lasting had he played today. Yet for a few years his name was on everyone’s lips when it came to hockey. He started very young in the game and at the age of 22 the moment pictured by the statue occurred. The Boston Bruins (Orr’s team) was playing the St. Louis Blues in the 1970 Stanley Cup Finals. It was a best of seven series and Boston had a three games to zero lead. The fourth game went into overtime as both teams had three goals. Forty seconds into the overtime Bobby sent a pass to teammate Derek Sanderson and received it back. He shot it past goalie Glenn Hall of the Blues. As he was skating in front of the net watching the puck go past the goalie he was tripped by Blues defenseman Noel Picard. He stretched out his arm with his stick as he flew parallel to the ice in a victorious dive! For that moment in time there was not a hockey player more famous than Bobby Orr! At the age of 31 he was elected into the Hockey Hall of Fame! I was amazed when researching Halls of Fame of the number of Halls of Fame that there are! There are Halls of Fames for all of our major sports baseball, football, basketball, and hockey! The list goes into many of the minor sports and other things like the rock and roll hall of fame in Cleveland, and the Hollywood hall of fame. Many universities also have their halls of Fame in all sports as do states! Usually a Hall of Fame will have a plaque of the individual listing all of their accomplishments! Sometimes statues will be made in their honor! Visitors come and read the accomplishments of the honorees. It’s nice to be remembered! It’s natural for people to want to be remembered for something they did in their lives. Sometimes people will give large amounts of money just to have a building named after them! Nobody wants to be forgotten. Time has passed by like it always does. Bobby turned 65 earlier this year. Bobby is doing well these days. Since he had knee replacement a few years ago he has been in far less pain! “I’ll tell you a true story that happened the other day,” said Orr, chuckling as he gets rolling. “We had a mixed member-guest-couples event at our golf course and I’m walking down the corridor to the men’s locker room and there was a board set up there, listing all the teams. A couple of ladies were standing there and saw my name, and I heard one say, ‘oh, he’s an old hockey player.’ Bobby thought to himself that yes, they were absolutely right. It’s strange how time can put past greatness out of our memories! Likewise that is exactly how fleeting earthly fame can be! The two poems that follow remind us to build our house on the solid rock and to store our treasures in Heaven! Then we will be remembered by God in his Heavenly Hall of Fame! “There really isn’t a Kate’s cup everyone competes for. Maybe a good idea would be to have a giant cup like The Stanley Cup with the winners name engraved. Then again the winning team score is usually thirteen or fourteen under par and only a couple of teams can achieve such heights! The gathering really is about winning but it has nothing to do with our golf scores. The winner is the scholarship that goes to a fortunate young teacher candidate who is a senior at Comstock High School. That student gets their tuition paid for and carries on the tradition that Kate Kwasny started years ago. I was trying to think of how many years I have played the Kate’s Kup four person scramble. I think it is five now. I have had different team members over the years as some can’t do it and others take their place. Scott from my softball team was on my Kate’s Kup team a couple of times including last year. This year Scott and Tracie and Tim (also from my ball team) and his wife Lisa made up our rival team. My team was formed in an unusual way this year! Alan my lifelong friend from my neighborhood came back into my life three years ago. He moved back to Holland Michigan which is over an hour away but still close enough for us to get together. I talked him into playing a softball tournament with me (for old times sake) but we both started golfing whenever we can get together. This year I mentioned how much fun Kate’s Kup was and Alan was on board for golfing it with me. Since Scott was golfing with another team this year and I didn’t hear back from Steve (who has golfed Kate’s Kup with me a couple of times and actually came up with the idea to participate years ago) we only had two of us. Luckily just a couple of weeks ago I asked Hans from work. Usually guys will hesitate and have to check their schedule but not Hans. He gave me an answer within 5 seconds and it was a resounding YES! He told me if we needed a fourth his friend Todd would play and we had our team set! The course where lightening struck! 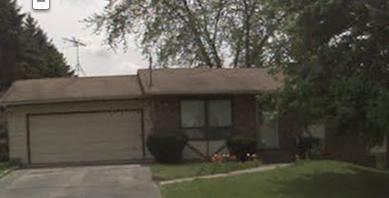 In 1989 I ran into an old acquaintance that used to live in my neighborhood named Terry. Terry was starting a softball team in Kalamazoo and I was interested in getting back into the game. I hadn’t played in four years (since my old team went their seperate ways). Tim Miller worked as a student in our office and I asked him if he played softball because we needed players. The next year 1990 Tim brought his roommates along to play with us also. There was Leroy and Tim. Tim Miller and LeRoy have long since went their seperate ways but Tim and I have played softball together ever since! Tim is an excellent hitter and you can usually count on him for two or three hits a game! I’m not sure if Tim really likes golf that much. I played golf with him once when our softball team had an outing to celebrate a teammate getting married. Tim’s game was a lot like mine. He hit some good ones and some bad ones. Much like me when comparing his golf game to softball, he is a very good softball player! On my golf scramble teams I feel like that I am the weakest link. My drives are embarrassingly short and crooked in comparison to guys like Scott, Alan, and Todd. The best attribute that I have in golf is that I am a good putter! Maybe it is all of the years of playing softball that ruins my golf swing. Probably the same thing can be said for Tim who would much rather play in a softball tournament than a golf outing. Still we were competing against each other in a strange way for bragging rights at the dinner that followed. It’s a friendly competion as I remember a couple of years ago my team ran into theirs in the middle of our rounds. I was feeling kind of down when they told me they were eight under par as we were hovering around even. After the round I found out that they were just pulling my leg and that their score was worse than ours! Kate Kwasny was born on September 15, 1983. She grew up in Delton, Michigan with her older brother Kyle and her parents, Mike and Linda Kwasny. Kate had a zest for life and loved every minute. She played basketball, softball, and volleyball in high school! She wanted to be a doer instead of an observer and loved becoming involved in causes and clubs that she believed in. Kate loved the theatre and always ended up with a part in all of the plays she attempted! She had a thankfulness about her and was always attempting to help others who were not as fortunate. In 2001 Kate headed to Western Michigan University with the dream of being a high school teacher like her father. Through her years in college she adapted to many situations such as living in the dorms, living with her brother and his roomates, and living in Australia while spending a semester there. In Australia she didn’t know a soul, but her sense of adventure was much greater than her sense of fear! It was in Australia that Kate had time to think about her life. As she told her mom and dad, “I had to go halfway around the world to find that what I really wanted was in my own backyard.” That was Jeremie Coplin, her high school boyfriend. They reconnected, and never were apart again. They truly were perfect for each other, and their shared strengths made them a good fit. After graduation in 2005, Kate started teaching at Comstock High School in Comstock, Michigan, where she had been a student teacher. Kate’s enthusiasm and love for teaching made her loved by her students! It was one of those situations where the more she gave the more she received. She truly loved her job and the difference she was seeing in her students attitudes and academic progress! While Kate taught and Jeremie finished college and started teaching kindergarten in Constantine, Michigan, Kate and Jeremie became engaged! They underwent pre-marriage counseling at the Methodist church in Delton, as Kate wanted God in every part of her life. Jeremie and Kates wedding would have been July 21. Kate Kwasny died on June 15, 2007 from injuries suffered from a car crash on Gull Road at the age of 23. Kate was delivering thank yous for a wedding shower when the accident occurred on June 12 a little after noon. Kate’s death left an empty void in all of the lives she touched. We were playing the second or third hole of our scramble yesterday when the commotion occurred. There was a loud long exuberance of screaming and shouting going on! I don’t know how he knew but Alan thought he had the reason. “Somebody just got a hole in one!” , he said excitedly. As we concentrated on our game the thought kept creeping up in our conversation. Wow, I wonder who it was? It wasn’t too much after when it was confirmed. The beverage lady came by in her cart and said she was running late because someone got a hole in one on one of the other holes! When the news got to her she quickly drove her cart over to reward them with beverages as quick as she could! As we were driving to one of our last four or five holes we ran into Scott, Tracie, Tim, and Lisa. Instead of deceiving us with their unheard of great score Lisa and Tracie were excited! “Did you hear that Tim got a hole in one?” Of course we had heard that someone got a hole in one and we heard the commotion, but we didn’t know who it was. Standing in the background was Tim and his was not a jubilant reaction. In fact he had a shocked stunned look on his face. It was almost like he had been unexpectedly struck by lightening and though he wasn’t physically hurt it had dazed him. He looked puzzled and almost confused as he looked me in the eye. “Can you believe it Lew?”, he stated. I didn’t say anything but if I did it would have been “no I can’t Timmy!” “You and I are basically hackers! How did this happen to you?” Serously I was very happy for him! Twice I gave him high fives and in the excitement and conversation Alan and I got lost on getting to our next hole in a timely fashion. Jeremie is always the master of ceremonies at the event. After the golf and after everyone is done eating the drawings begin. There are many prizes that get donated each year and tickets are sold. You can place tickets in the drawing for each prize. Jeremie is always dressed kind of funny to shed laughter on the occasion. This time he had a goofy looking rooster hat on. After he made his introductery remarks he had a young lady named Brooklynn Brown come up. 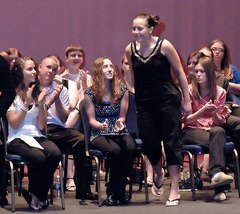 Brooklynn was the first winner of the Kate Kwasny Scholarship in 2008. She talked about how honored she was to have received the scholarship and how she had Ms. Kwasny as a teacher. She talked about what motivation it is that the memory of Ms. Kwasny gave. It was a nice speech from someone who benefitted from what Kate stood for! I don’t know why Tim got a hole in one. He must have just been at the right place at the right time. He hit a 5 wood which is a club that I have in my bag too because I have trouble hitting a four or three iron. Undoubtedly everything worked to perfection. Lightening does strike and sometimes it strikes unexpected places. The event officials had to scramble to find a prize for Tim. “We have never had this happen before”, Jeremie explained. I’m of the opinion that it may never happen again. I don’t know why Kate Kwasny died. She was so young with seemingly so much more to give. It really doesn’t seem to make sense in our earthly minds. Unlike Tim she was in the wrong place at the wrong time. On her website there is a statement that is stated that she believed in. “It is better to light a candle than to curse the darkness”. Through their efforts her loved ones have not allowed Kate’s memory and what she stood for to die. They do not dwell on the past, but have lit candles for others to see the path as they pass. I wrote a poem years ago at a similar time of loss in my personal life called “The Window”. The poem is about confusion and not understanding events that happen. The words are just expressing to God how I felt. The window is fogged up now and the view is unclear. I was searching for answers that I couldn’t have at that time. For now the Kwasny family and friends also see a fogged up window. Life is unpredictable and unexpected things sometimes happen. When the unexpected is good we shake our heads in amazement. When the bad happens we shake our heads in sorrow and question Gods plan. Kate’s memory lives on in others and always will, but the answer to the question of why she isn’t with us anymore will have to wait until the fog is lifted. and the window will be clear. I suppose these places exist because we have fond memories of our past. Recently I was told by a friend that they were going to Coldwater, Michigan to a Drive Inn Theater. We used to have two Drive Inn’s in our town. One in fact was so close to our house that we could look out the picture window and see the screen. It was easy entertainment. Pay your money to drive into their parking lot, park by a speaker within good viewing of the big screen, and hook your speaker to your window. Turn up the sound and you were in business. As kids I remember sneaking in back of the fence as a group to watch the movie. Unfortunately we couldn’t hear the sound and it wasn’t quite the same as being inside. Of course our two theaters closed years ago along with Drive Inn Theaters throughout the country. We used to play video games in a place called StarWorld. It was a business that had probably over 100 video games and pinball machines in one place. Your money was converted into tokens and you were free to play games until the tokens ran out! StarWorld has long since closed and the good times there are distant memories. A couple of years ago we visited a nostalgic video game business where we played many of the video games we enjoyed at StarWorld. Although our son is too young to remember StarWorld we brought him along to share in our memories. For a little while it was a trip back in time playing Ms Pac-man, Space Invaders, Centepede, and other games that were entertaining and fun! Time goes by so fast and taking a trip back to a moment that was truly memorable is a nice experience! The old arcade games were fun! Tashmoo Park was an Amusement Park on Harsens Island in Algonic, Michigan. It opened in 1897 and closed in 1951. 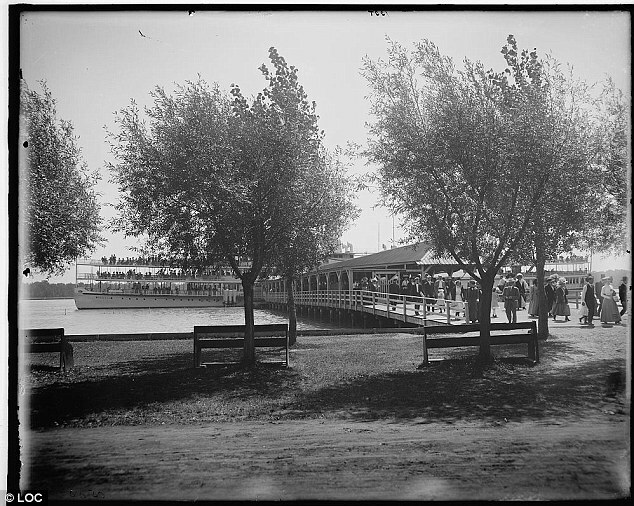 The famed Tashmoo Steamship docked at the park daily offering Detroiters an easy access to the park. Tashmoo Park provided visitors an escape from the excessive heat and humidity of crowded Detroit summertimes. It had picnic tables, a baseball diamond, swings and rides, as well as a casino and a dancing pavilion. It also had a bathhouse and swimming beach. Recently a diver named Dave Leander discovered the bottle buried in four to six inches of dirt thirty feet below the surface. Surprisingly the note which was written on the back of a White Star Liner deposit ticket seemed to be in very good shape. Amazingly the bottle kept it’s seal intact for 97 years! Only a little moisture was discovered in the bottle as the note was stuck to the side. The bottle was left to dry and a new cork was placed on it. It was covered with paper so that the florescent light wouldn’t damage the contents. 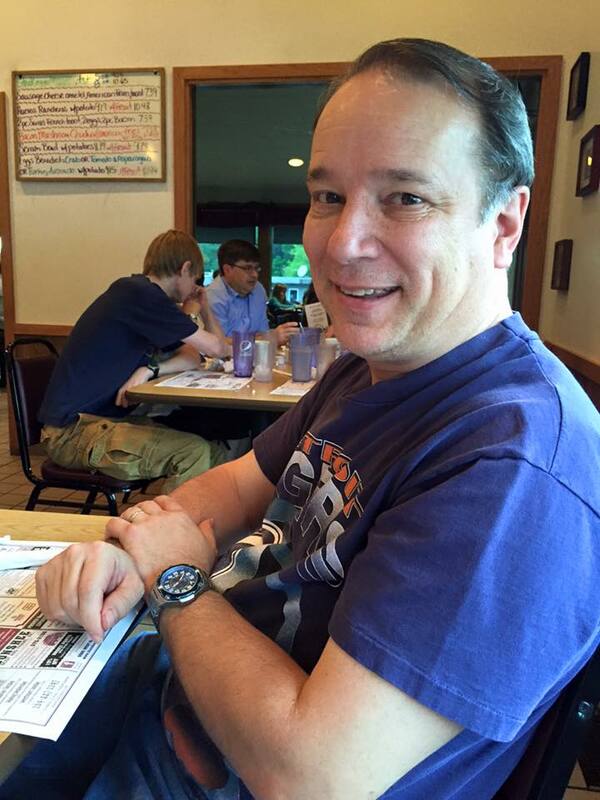 When Janet Baccanari got a call from her cousin Eric Schiebold she assumed the worst. Probably a death in the family she thought. Happily she was surprised to learn of the good news of her grandmother (Tillie’s) bottle being discovered! “It’s like she came back to life”, Baccanari 46 said, “it’s exciting stuff”. 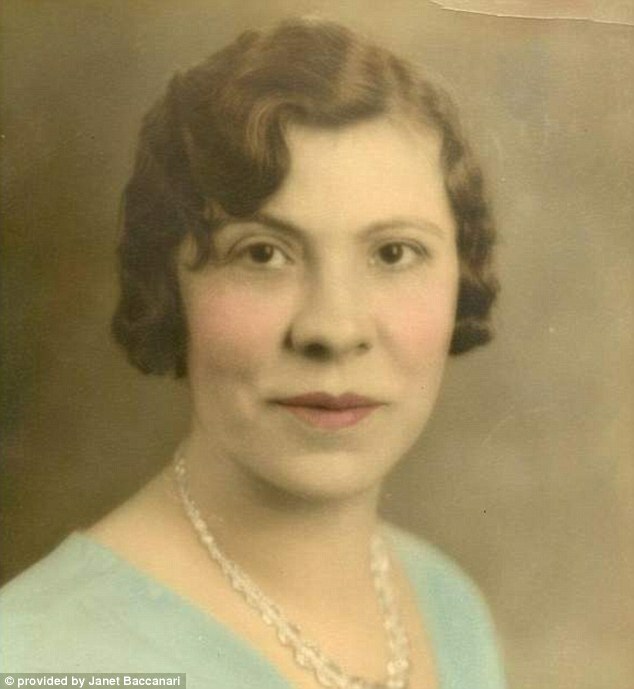 Tillie had nine children, three boys and six girls. Two of the girls are still living. Baccanari is one of nearly three dozen grandchildren. Neither Eric or Janet recall Grandma Tillie talking about her experience in Tashmoo Park or the bottle incident. It probably was labeled as a failed experiment I’m thinking. Yet the whole discovery has the family thrilled! In celebration of the memory of those times past an event called “Tashmoo Days” will take place July 20th. All of the decsendants of Tillie and Selina are invited! The celebration will include live music and dancing, wine tasting, and entry into the Hansens Island/St. Clair Flats Historical Museum along with many other events. Somewhere in that Museum the infamous bottle will be displayed! For the families it will be a time to reflect back in time to two young ladies enjoying a day and a place together. It will be a time to visit a place that had long been forgotten until a 97 year old note brought the families closer together. Instead of going on a nostalgic visit for them however, they will be sharing a memory of a time of someone elses long ago. The old Jim Croce song “Time In A Bottle” states, “but there never seems to be enough time to do the things you wanna do once you find them”. This story is about two young ladies doing for one day exactly what they wanted to do! The note in the bottle is only six words but those words are a good message for all of us. “Having a good time in Tashmoo”. The message to us today is take time to enjoy life and the moments that we have. The note in the bottle was not a failure, it’s message just took awhile to surface! Maybe the note stayed intact because it’s purpose was for our generation not theirs! We are a generation that is always on the move. Many times like Jim Croce’s song we don’t take the time to do things we really enjoy. What are some of the good times you enjoyed years ago? Perhaps it is time to re-visit some of those times! If it was a Drive-In Movie Theater there are still some around. 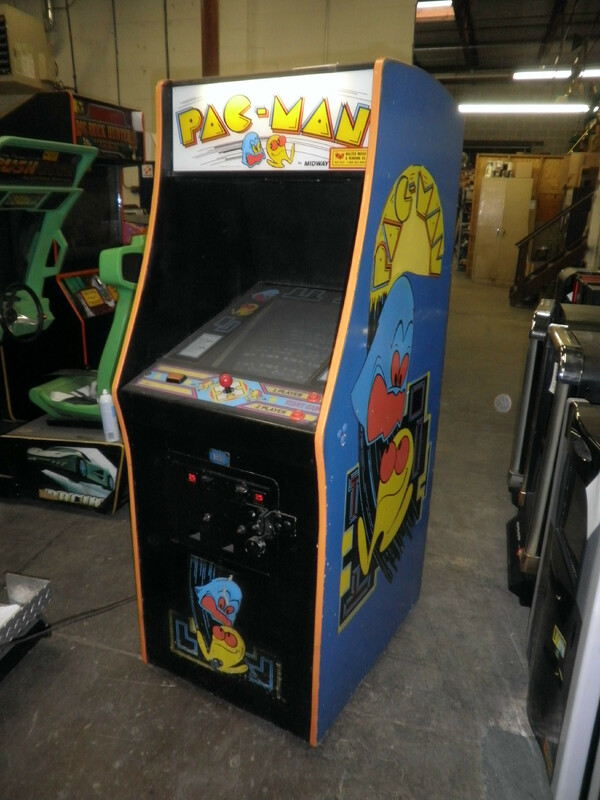 Perhaps an old video arcade will do the trick! These memorable places may take alot more driving but a few exist. Maybe remembering fun times will help us come up with other entertaining and fun things we enjoy! Finding time to enjoy life is so important! Perhaps this bottles message is just in time! We are constantly sending messages to others without even realizing it. If our message to others is doom and gloom maybe we have forgotten the things that used to bring a smile to our face! Hopefully our message going forward is a message of love and enjoying the moment like two friends, who in 1915 sent a note of happiness that ended up as inspiration to our generation almost one hundred years later! I heard on the radio on June 25 that there were six months left until Christmas. Kind of a chilly thought for a hot summer afternoon but true all the same. I remember a couple that would divide their stay in each of their two houses to half a year in each to the day. Now that is being precise with your time! All of us in some way or another keep track of time. I suppose that someone in prison watches the days closer as they count down to their release date Even at work people are counting down the hours to go home. It’s strange but the song lyrics “everybodies working for the weekend” can be very true. It’s also true that people wish a lot of their life away and how slow or fast time goes by. It seems when we are enjoying ourselves it flies and when we are in the dentist’s chair for instance it drags! It’s funny how we set our watches and car clocks. How many times do we set them a little ahead to trick ourselves to be early? Of course then we end up knowing that it is set early and adjusting the time in our minds. Recently I was in the market for a watch. I noticed one that really caught my eye! It was beautiful and looked to be just what I was looking for. However, upon further inspection I noticed how hard it was to read. They made clear looking hands that blended right in with the watches background. I couldn’t see myself staring at the watch for a few seconds trying to adjust my eyes to where the hands actually were. 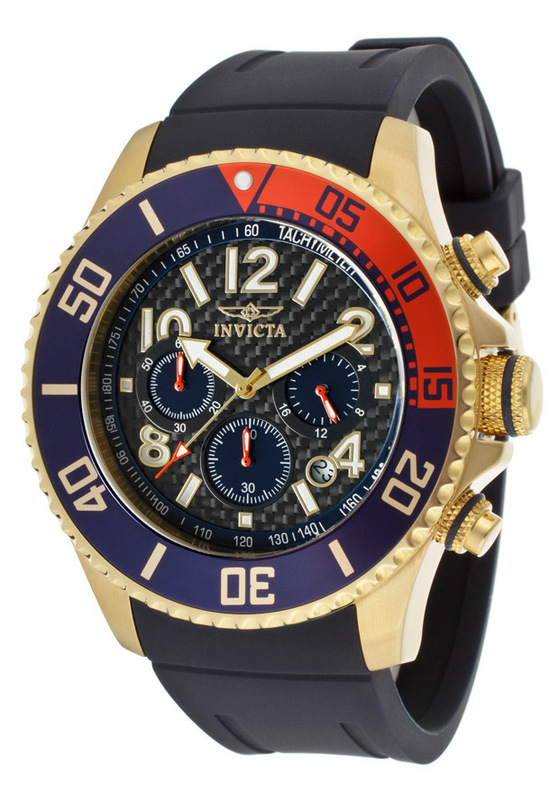 It seems the maker forgot that the most important purpose of the watch is to read the time! 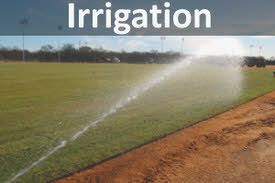 The sight, sound, and smell of sprinklers on a hot summer day brings me back to a place in time! In the middle of summer when I’m walking by a field with the smell of freshly mowed grass and the sound of sprinklers spraying in a rhythm I’m reminded about a time years ago playing ball at the baseball clinic. Our senses have a way of bringing back moments in time! It happens to most of us when we hear a song on the radio and go back to a place in time when that song was relevent. Maybe it was a teenage memory or maybe the song reminds us of other people that were in our lives at that time. Our senses seem to bring us to a built in calendar that has recorded events with sights, smells, and sounds! 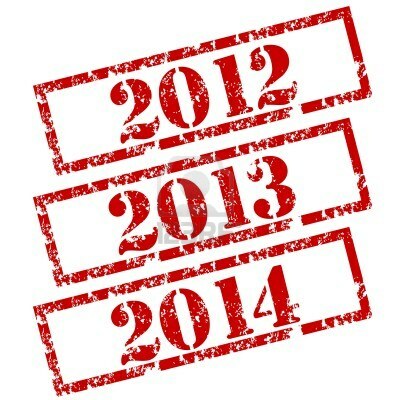 The earliest calendars had only ten months starting in March. Many were named after Greek and Roman mythology. The first two months as we know them were unnamed until later on. You may be surprised by the orgins of the names of the months. March for instance is named after Mars, the God of war. April is Latin for “to open” as in when the buds of plants open. May for the goddess of growth of plants. June for the goddess of Juno. July was named after empereror Julius Caesar just as August was named after Augustus Caesar. September through December were named after the Latin words for seven, eight, nine, and ten. Later January was named after the God of doors and gates and February was named after a time when sacrifices were made to atone sins. Man was born to worship something and as you can see from the formation of the month names, many were named for Gods that don’t exist. Some people write important things on their calendar. There are a few who keep a diary of what goes on day to day in their lives. A year and a half ago I started writing about experiences I have been through on this site. People have told me that it will be a source of history for my family. Like most people I have not been much of a record keeper of my days. I very rarely get in front of a camera like some people do. I notice on sites like Facebook that there are some that have a new picture of themselves all of the time! My calendar at work has only general entries and our one at home is basically the same. I may write dentist appointment on one of the days and the time, or A.L. for annual leave. When the calendar is used up it has no historic purpose to keep it around since nothing was a personal reflection. I used to have a big calendar on my desk at work that laid down flat with twelve giant sheets for each month. I liked the idea of seeing all of the days at once. Later I switched to a smaller model with the same view. Finally I went with the day by day little calendar that is in the little plastic holder that you turn the page every day. I have on my desk now a Ripley’s Believe It Or Not Calendar which has oddball facts of people that do and did strange but entertaining things! This calendar at least is entertaining and still leaves me room to record the dentist visit or the vacation day. Time waits for nobody and the years roll by quickly. They say that time waits for nobody and we all know that it’s true. I’m reminded of a story I heard about a couple going to their 30th high school class reunion. After taking two steps into the door and looking around the husband turns to his wife and proclaims “I think we are in the wrong room honey, there are only old people here”. Whether we see it or not each day we are getting older. Each day that calendar of things in the past turns another page. 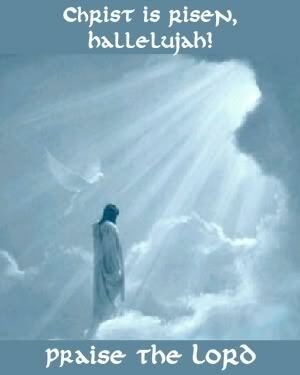 I’m reminded of the most awesome thing about heaven “eternal life”. It will be a place where we never will get old. It will be a place where as the song goes when we’ve been there a thousand years, we’ll have no less days than when we first begun. We won’t have days to keep track of as a sign that there is an end. Until then time is the most precious thing any of us have here. How much money is one day of life worth? It can’t be measured in monetary terms. None of us know how much time we are given. It is one thing that is not guaranteed. Our time accounts are dwindling. If there is something we need to do, we need to do it now before our clock stops ticking. why do go my way? this is God’s will for you in Christ Jesus. It was the Summer of 1974 and we were driving back from camp. The youth director of our church had recruited myself, my best friend Keith, and a classmate in high school Barbie to be camp counselors that summer at a place called Living Waters Camp. We spent the whole week at the camp and he would take us home on Saturday morning and return us back Sunday night. Each week we would meet a new set of young kids experiencing their first time away from home. While we were making one of those trips a song came on the radio. 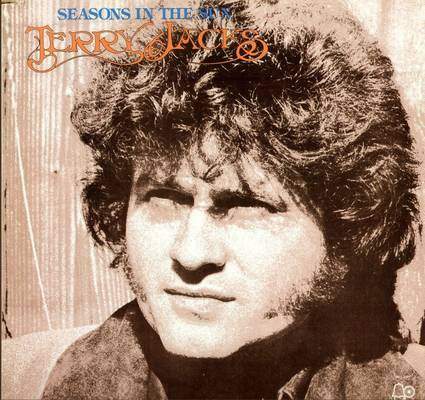 It was sang by Terry Jacks and it was called “Seasons In The Sun.” Greg (the youth director and a former disc jockey) made a statement about the song “that will be a number one hit mark my word.” Greg was right, the song went straight up the charts to number one! The song was about a man that was dying and he was saying goodbye to all of his loved friends and family. It was a sad song that struck a chord with people because we all know that some day life will end and saying goodbye and recapping our lives together is something few of us get to do. In Michigan around my birthday February 20, usually the snow is falling and it is cold. A likely scenario is coming into the house after shoveling snow from the driveway and feeling stiff and cold. At this point you are totally frustrated with winter, shoveling snow and feeling numb. You turn on the TV and the announcer makes a statement “Pitchers and Catchers are reporting to Spring Training today.” Suddenly a new hope comes over your spirit! 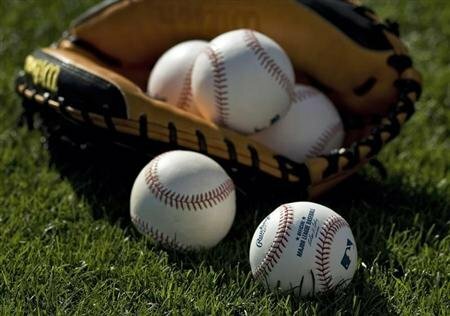 If Pitchers and Catchers are reporting it can’t be too long until spring arrives! Suddenly there is a revived feeling that we all call spring fever! After a dormant time in winter, spring brings a newness and things start to grow again! The birds come back from their winter migration and as the weather begins to warm we start hearing them chirping! In the big picture our lives can be compared to the seasons. Spring is the time that we were born and it goes maybe to our early 20’s. Spring is a time to learn. Much like the growth of the plants and trees around us, spring is a time for growth in our lives. Spring is a time for learning and making lasting relationships. It is a time for us to feel the sun hitting our face for the first time. It is a time, like the birds, to chirp and sing and dream big dreams as we look at the big world around us! Spring is the time for choosing our values and deciding what we want to do with the rest of our lives. It very well could be the time that we decide who we are going to spend the rest of our lives with! Spring is a little unpredictable. Sometimes we get hot days, sometime cold, many times rain. Unpredictable describes our time growing up. We are caught in the emotions of adolescence, hurt feelings and extreme highs and lows. Spring is normally a time for less responsibilities. Normally we live with our parents and they provide for us. We long to start a life of our own and leave the proverbial nest. There comes a point when we start making a life of our own and the temperature in our lives begins to rise as spring turns into summer. Just as in the summer when the temperatures get hot, our lives go the same way. As we enter summer we are now more independant. We are willing to take on more responsibility which can be compared to the temperature rising. The summer years are maybe 23-40. Those years are a time for possibly getting married, raising a family, finding a lasting career, and living the day to day struggles that all of these things entail. Summer is a time that you balance the crazy dreams that you may have had in the spring with the reality that the world doesn’t revolve around you. It is a time for giving as we pass along life lessons to our offspring. It’s a time to realize that other people are depending on us and we are not an island. It is a time for extreme love and extreme personal satisfaction. It is also a time of extreme disappointments and extreme heartbreaks. Like summer, the heat can be extreme and very uncomfortable. There are times when you wonder if you can do all of the things that you want to get done! Near the end of summer you start to notice the leaves changing. Maybe it is your hair starting to grey, or you notice there isn’t nearly as much hair as there used to be. You start noticing aging marks in your face. These are the signs that you are entering into fall. As fall approaches you notice that the temperature is starting to drop. Fall is roughly the ages of 41-60 in my illustration. Responsibilities generally start to decrease. Generally your kids get old enough where they are starting to make a life of their own. If you have taken care of your money, your financial responsibilities become less as maybe you get closer to paying off your home! Maybe by this time you have established a career and now you have a lot of stability in the workplace! Fall can be the best time in life as now you have a true perspective of where you came and where you are going! It is a time to think about retirement and plan vacations you may not have had time for in the summer. It’s a time to think about your children and maybe their families as many of us will become grandparents during these years. Fall is a time to give as we realize how fortunate we have been. It is probably the time in our lives that most of us think of others as the stress and heat of our own lives becomes less. Fall is some of the happiest times and yet with fall our bodies start to show us the creaks of winter setting in. Gradually the temperatures start to go down. The leaves begin to fall off of the trees and you notice that things are not as pleasant. By this time your body reminds you of seasons past. You find that your loved ones are more concerned about you instead of the other way around. You find that things you took for granted such as driving could come into question. You have extreme knowledge from experiencing past seasons, but your body may not be able to move you around like before. Like the birds leaving you realize that you may soon be leaving too. Winter can be a very hard time as we may become dependant upon other people. Our memory and hearing most likely will get worse and we may think of things of seasons gone by instead of the present. 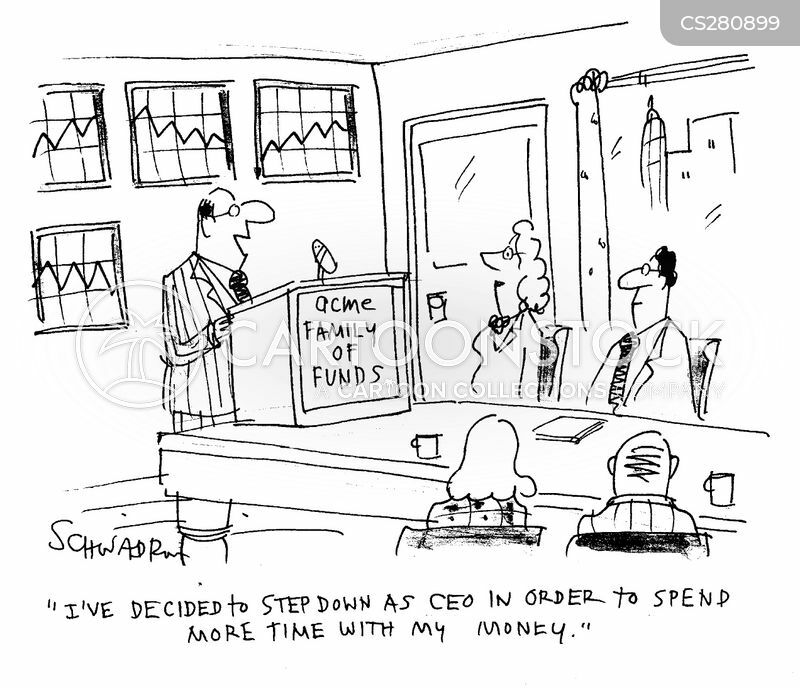 Winter is a time for things like pensions, social security, and estate planning . 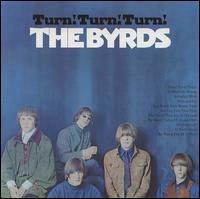 The group “The Byrds’ had a song years ago called “Turn! Turn! Turn!.” The words were “To everything (turn turn turn), there is a season, (turn turn turn), and a time for every purpose under Heaven. A time to be born, a time to die, a time to plant, a time to reap, a time to kill, a time to heal, a time to laugh, a time to weep.” You will find all of the words where the song writer found them, in the Bible, Ecclesiastes chapter 3 verses 1-9! While there is a time for everything some have more time than others. Many die in their spring, summer, or fall years before ever reaching winter. Obviously there are no guarantees in life as to how many seasons we see. Terry Jacks “Seasons in the Sun” song had a good thought, tell the people you love how much they have meant to you! Nobody wants to say goodbye, but when it comes down to it, goodbyes don’t have to be forever. God made a plan for all of us to get to heaven after our seasons here on earth are over. It starts by accepting Jesus Christ into your life as soon as possible. If you haven’t done that consider accepting him now! We all are concerned about our estate and things of that nature but what about us? What about our fate after we leave here? Since we have been talking about songs and lyrics I leave you with this songs lyrics by Paul McCartney and Wings. 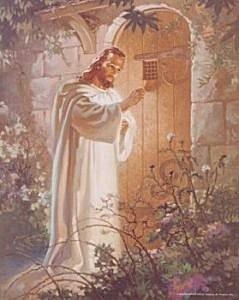 It may not be what Paul had in mind but consider that Jesus knocks on everyones heart door. “Someone’s knocking at the door, somebody’s ringing the bell, someone’s knocking at the door, somebody’s ringing the bell, do me a favor, open the door and let him in!” This one decision will lead you to eternal life and an everlasting season in the sun with the son! 1983 was a big year in my life! It was the year I got married! Literally days before that happend though we bought a house. As a term of the sale the owner wanted to stay in the house a couple of weeks after we legally obtained ownership. That agreement we made with him literally put us in a time bind. When we found houses that we liked we would have my dad check them out. My dad built three houses so he looked at things that we didn’t. He wasn’t concerned with the color of carpet or the paint on the walls like we were. He looked at the structure and other items we probably would have missed. We found a house that we liked and had dad look it over. Dad gave the house a passing grade as the things he looked for were in order! Though we liked the neighborhood and the outside, the things that caught our eye inside were completely out of order. The walls were a very filthy yellowy color, not the nice white color they should have been. There were dirty fingerprints all over the place. It was an interior designers nightmare as the carpet was an ugly pukey green color and the kitchen walls were the ugliest pea green I had ever seen. The countertops were also a very distasteful green and the stove was such a greasy mess it needed a major cleaning to make it close to usable. The kitchen floor had a green unattractive pattern and color to it. What was this obsession to green this person had? Not only green but such an ugly pea green. Along with it’s putrid color the carpet was also damaged. The carpet in the bedroom was torn up near the door as a big dog was shut in and tried to tunnel his way out. There was hair everywhere as the drains were filled beyond belief. We heard from the neighbors later that the house was treated like a frat house. The owner and many of his friends made it their home. The house was a host for many parties and the occupants were not concerned with how the place looked. The foundation was solid but inside it was a mess! The owner was a chain smoker and if a smoker could smoke more than a chain smoker that would describe him. He literally always had a cigarette in his mouth and the place reeked with smoke smell. Not only him but the evidence suggests that everyone living there were heavy chain smokers. Apparently the owner and friends smoked so much it got to be a pain to get rid of their cigarette butts. They literally dropped them on the floor and kicked them under the stove, refrigerator or anywhere out of sight. When the stove drawer was opened exposing the floor beneath hundreds of cigarette butts were found. By the time the previous owner had moved out I had very little time to make a livable home out of the mess we bought. I called my dear friend Gary and he was so willing to put things on hold in his own life and help! My dillemma was that I was getting married on Saturday and we would be leaving on our honeymoon. Beginning that Monday Gary and I decided that we would paint. Painting three bedrooms and a living room was our mission and we only had four nights since the Friday night was the wedding dinner. We both worked so it was around six pm before we could get started. We worked long into the night each night. Gary and I both loved sports and the fact that the National Championship of the NCAA basketball tournament was played on Monday night added to his sacrifice. I happened to have a TV in the house already. It was a second hand color TV that had the rabbit ears for it’s antenna. CBS and NBC were the only channels it received and luckily the game was on CBS. Houston was playing North Carolina State that year in the finals. Houston was the overwhelming favorite to win and neither of us thought it would be much of a game. Houston had two players that would eventually be NBA Hall of Famers and they were given the nickname Psi Slamma Jamma for their many dunks they had every game. We took a quick break from our painting wondering how the game was going. It was a couple of hours after tip off and we figured it was either close to over or over. We stood there as the set warmed up and eventually we saw a picture. Totally expecting a blowout in Houstons favor we were shocked to see the score was tied. North Carolina State had the ball with forty seven seconds left and they started throwing it all over the court and almost had it stolen a couple of times. 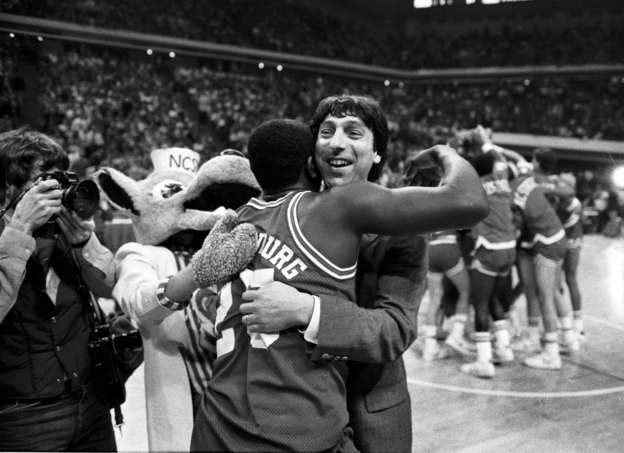 Jim Valvano was the coach at North Carolina State. At the beginning of the season he had a dream. It was the dream of winning the National Championship. Every year the National Champion cuts down the net as a celebration of their victory. After one of his first practices that season Jim figured his team needed to live the dream he was living. They needed to see and feel his vision. He brought a pair of scissors and each player was hoisted up and cut down a strand of the net. The last strand was cut down by Jim himself on the back of one of his taller players. They hooted and hollered just like it had actually happened and ran off to the locker room in a jubilent triumphant celebration! The road to the championship game was filled with pot holes for that 1983 North Carolina State team. Dereck Whittenburg their star player who they relied on for his scoring ability and leadership got hurt. It happened in January when Dereck went up for a shot and landed on the foot of an opposing player. The results of this unfortunate event was a broken bone in his foot. At the time of his injury North Carolina State had a record of twelve wins and only one defeat. They were ranked in the top twenty five teams in the nation. After his injury the team struggled and they ended up in fourth place in their conference. It was thought that they would need a tournament win in the upcoming conference tournament to get into the NCAA tournament. Miracuously that is exactly what they did. 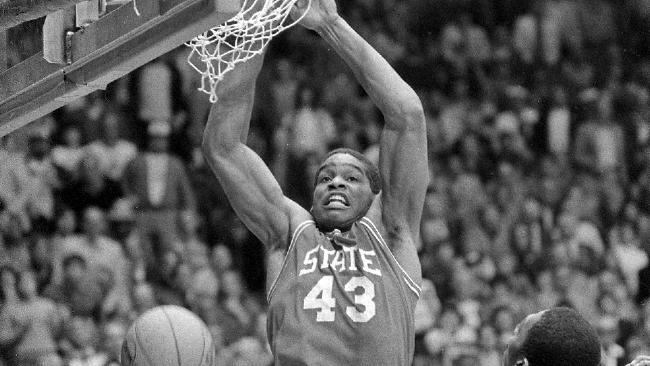 With Whittenburg coming back sooner than expected, State pulled off a couple of stunning upsets including Virginia (led by 7 ft 4 Ralph Sampson) in the title game. It was their first win against Virginia after suffering two losses to them in the regular season. Surprisingly “The Cardiac Kids” had a non cardiac game against Utah to reach the “elite eight”. They won by 19 points in one of their best performances of the season! Standing in their way for a trip to the final four was their nemisis Virginia. When Othel Wilson of Virginia missed a last second shot at the buzzer”an airball”, State won another thriller 63-62 and were headed to the Final Four! They won by seven points over Georgia and watched on the hotel TV as Houston dismantled Louisville in a game in which they lived up to their dunking name with 14 dunks! The kids from North Carolina State looked at each other wondering how they could compete with this dunking machine of a team. In the press conference before the big matchup Coach Valvano jokingly said that they would just hold the ball the whole game for the last shot. Before the game Valvano told his team that there is no way we are going to hold the ball with millions of people watching. The Houston press was non stop. North Carolina State was moving the ball and seemingly throwing it to all of the wrong places. Two or three times it was almost stolen as their passes were hurried as it seemed Houston players were everywhere. The ball ended up in the hands of Thurl Bailey in the left corner. Thurl had an open look but he hadn’t made a shot since the first half. He looked for Whittenburg because Whittenburg was hot. He found him near the half court line. With Houstons athletic defense in persuit he threw a very dangerous across court pass in the direction of Whittenburg. A defender from Houston tried in vain to reach it and actually deflected the ball after it had reached the jumping Whittenburg’s hands knocking it to the floor. Whittenburg grabbed the ball and took a driible and with only a few seconds left he launched the shot. He was thirty five feet from the basket and everyone including Gary and I were holding our breath as it made it’s way for the basket. Just as it appeared the ball was going to fall short of the mark a player in red Lorenzo Charles jumped up, caught the ball, and in one motion dunked it in the basket! Lorenzo Charles completed the dream! The impossible dream was now complete! It came so quickly that Gary and I couldn’t believe our eyes! How ironic that the great dunking machine team was did in by a dose of their own medicine! Volvano ran onto the court looking for someone to hug. Amazingly he couldn’t seem to find anyone. When he finally found Whittenburg he happened to be hugging someone else. Volvano laughed at the unusual situation in a speech years later. Whittenburg completed the unfinished story in an interview in 2013. “Where were you?’ the coach asked Whittenburg. “I have been looking all over for you to give you a hug.” “I’m going to give you a big hug right now”, Whittenburg stated to his coach as the two came together in a triumphant embrace. Ironically both Jim Valvano and Lorenzo Charles are gone now. 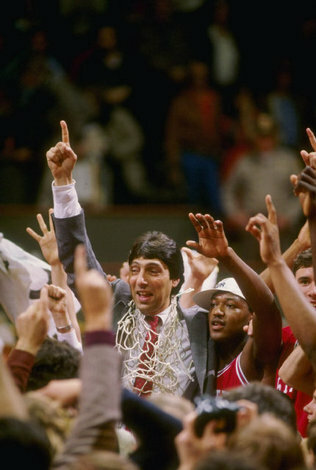 Valvano lost his battle with bone cancer at the age of 47. Before he left he started “The V Foundation” to raise money for the fight against cancer. The V Foundation has raised over 100 million dollars for research to find a cure! Lorenzo Charles was also 47 when a bus he was driving crashed and overturned on a busy highway. How short their lives were, but oh the memories they left us with. Volvano having the dream and Charles completing it! Gary and I had a dream too! Gary didn’t have to tell me he loved me because I knew by his actions those four nights that he did! We were fighting the clock like North Carolina State did, so we had to turn the TV off and start back on our own miracle. 1983 taught me a powerful lesson about miracles. Miracles can happen if there is plenty of love in the mix. Just as Whittenburg needed assistance from Charles for his shot, Gary and my family gave us assistance for our miracle also. Though our miracle wasn’t publicized as North Carolina State’s was, through the loving help of Gary the inside of the house began to match the outside in appearance. Miraculously as Thursday nights work ended so ended the need to paint. The place had such a different amazing bright look to it! I couldn’t take my eyes off of how clean and beautiful it looked! Adding to Gary’s help was my mom and sister who came in and cleaned and my mother in law who hung curtains and helped us hang wall paper. My friend Keith came over and repaired the damaged carpet and at last our little home miracle was complete! 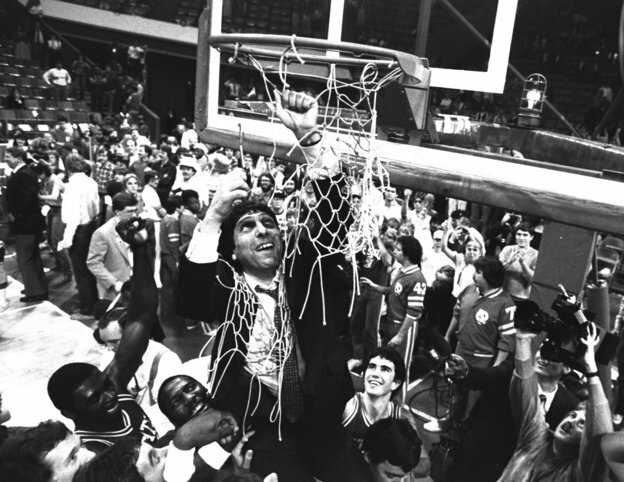 It has been thirty years since that North Carolina State miracle. Tomorrow will be Easter Sunday when we remember the greatest miracle of all. Just as the miracle of thirty years ago with North Carolina State is remembered like it was yesterday for the players involved, the legacy of the resurrection lives on now for over two thousand years! Our lives are like my house, nice looking on the outside but a mess inside. Our house didn’t stay that way and it doesn’t have to stay that way in our lives either! Miracles happen every day even though we don’t always hear about them. They start because Jesus died and was resurrected. When we repent of our sins and accept him as our Savior our sins are forgiven and we join God’s team. There are no guarantees as to how hard our road to victory will be. Like the North Carolina State team our path is sure to have many pot holes. The beautiful part of the story is that we now have a loving coach who will be with us and lead us to the ultimate triumph! Whittenburg and his coach embracing after the miracle occured! Because he lives and loves us the inside of our house can be in order too!